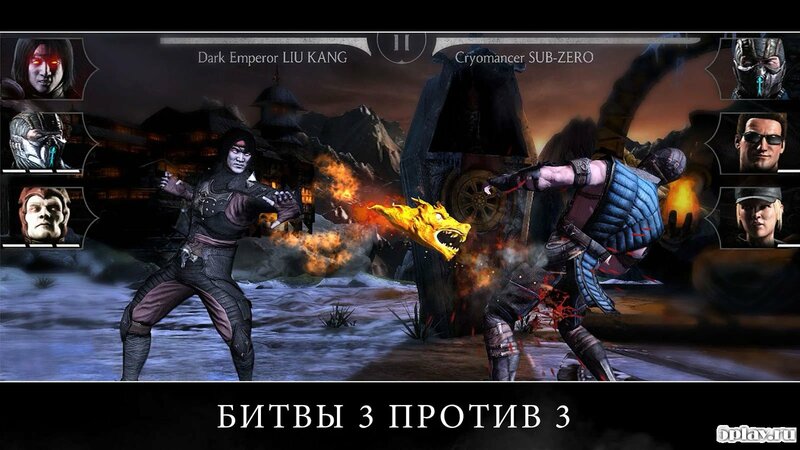 MORTAL KOMBAT - the anniversary tenth of the legendary game in the fighting game genre has now come to Android devices. The mobile version does not tell the plot, but it can be learned from the original. Here, the player is invited to pass the tower behind the tower and with the help of selected fighters to overcome rival units. 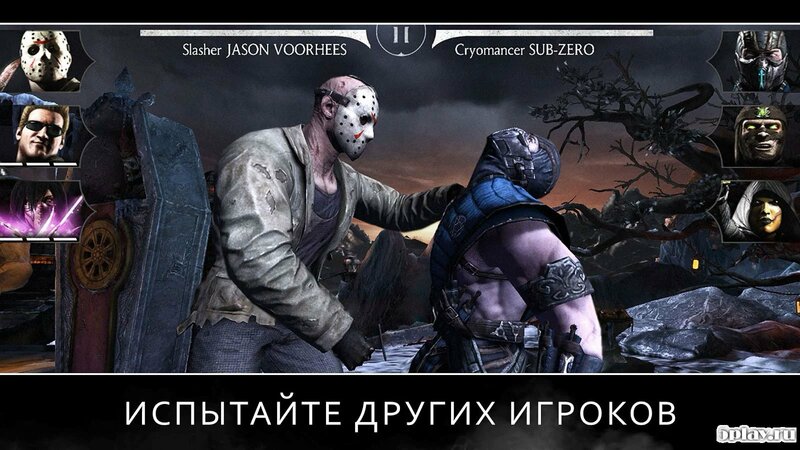 Scorpio and Sub Zero will fight in the very first battle. Here, fans of console and PC versions of games in this series may be disappointed in the simplicity of control, but it is most adapted to touch displays. The game mechanics are similar to Injustice. Simple screen taps initiate standard hits. When you click on the display with two fingers put the block. Combo attacks are available when the required amount of energy is accumulated and are carried out with the help of certain gestures. In each battle involved three fighters. If one of them is already breathing its last, it is worthwhile to call the other in order not to lose the fight and continue the battle. In between fights, you need to pump the skills of members of the squad. Technically, everything here is great. Excellent three-dimensional graphics pleases the eye. This is especially true of carrying out colorful combos. The voice acting also did not let us down, all the sounds of blows and the cheers of the opponents were made great. 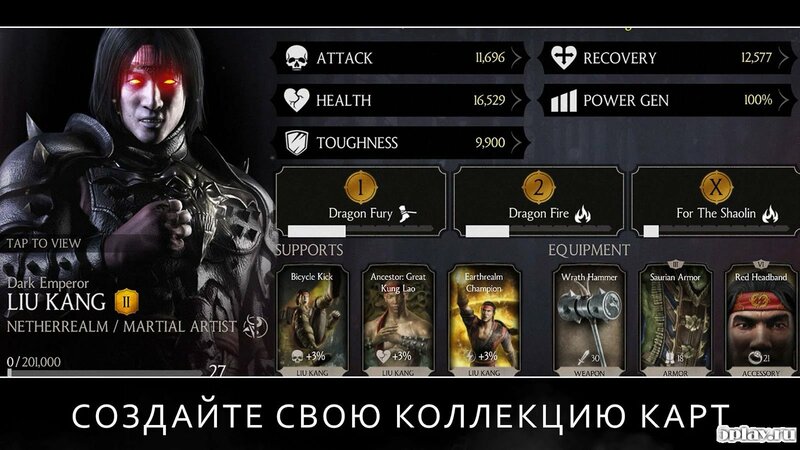 MORTAL KOMBAT - an excellent fighting game, adapted for mobile devices, which will appeal to fans of the genre.